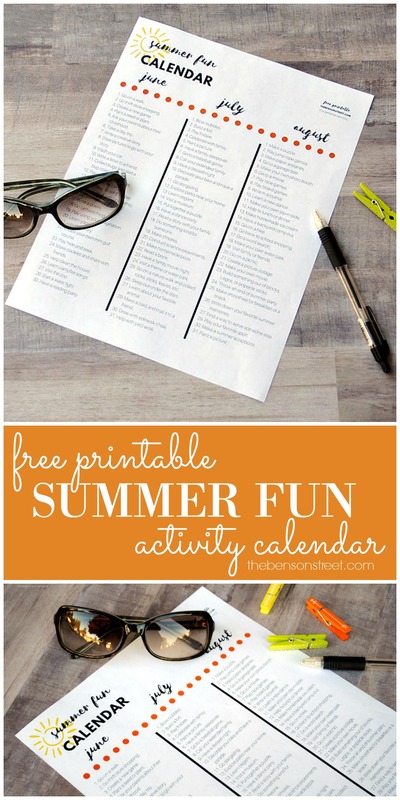 For the last few years, I’ve created a free printable Summer Fun Activity Calendar and here it is for this year. It is hot of the presses (although a little late due to all the baby fun I’m having). I tried a little different format this year to simplify the calendar. Normally, I have created a calendar with an activity on each day. 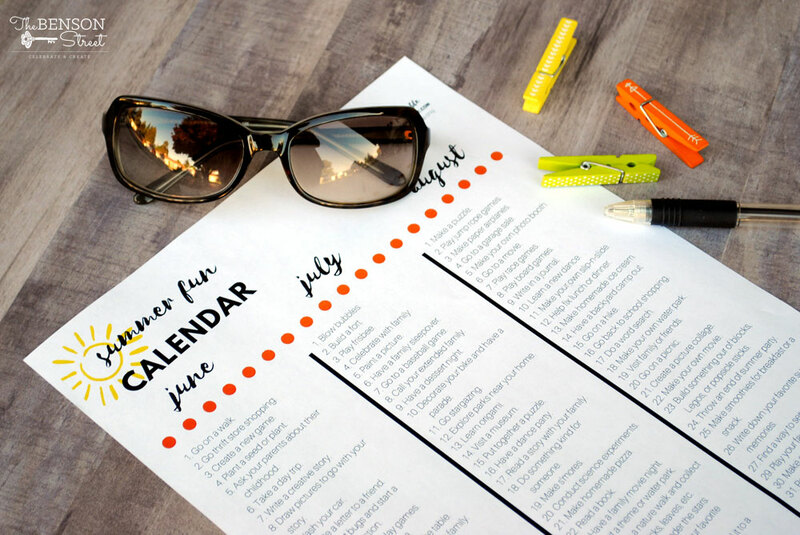 This year, I combined the three summer months onto one page in a list format. Less paper = less clutter right? I’m trying to think that way. Hopefully it is helpful to have less sheets to keep track of. Second, you could laminate this sheet and save it for the future years. Or use it as a checklist. Pick one activity each day and then cross it off the list. 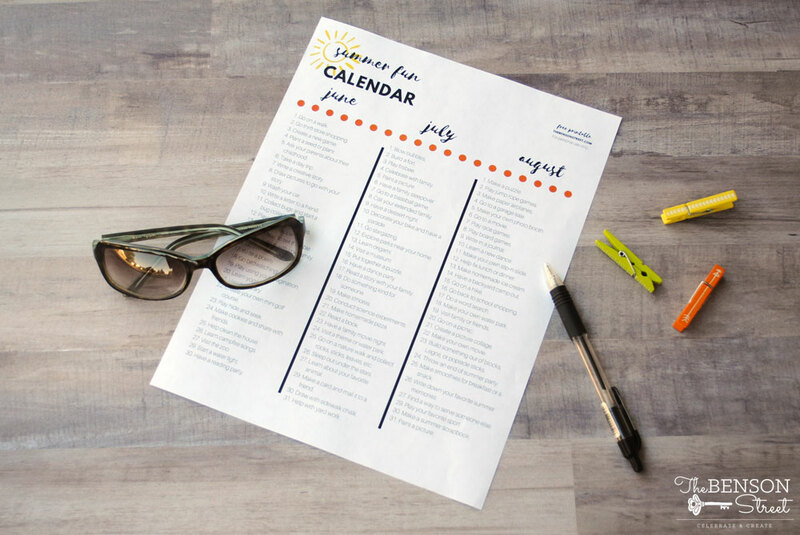 Work your way through all of the months with a choose your own adventure type calendar. 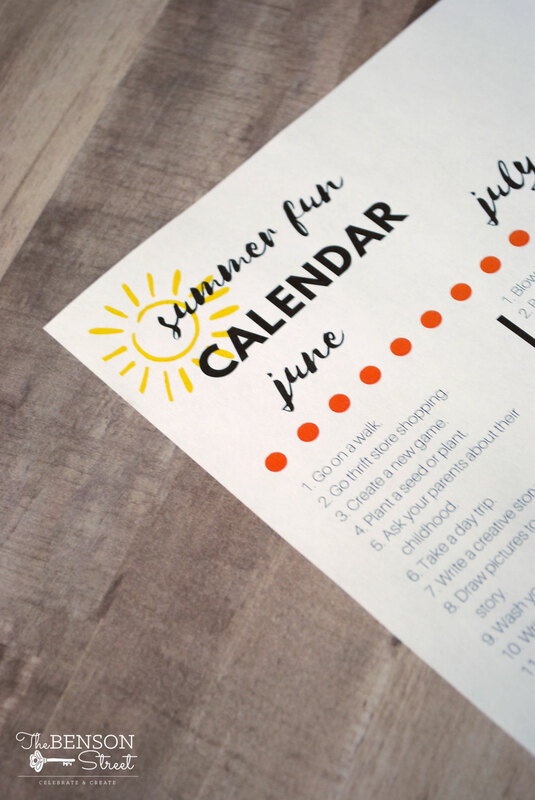 Or just head over here and print off a list to make a summer fun activity jar. 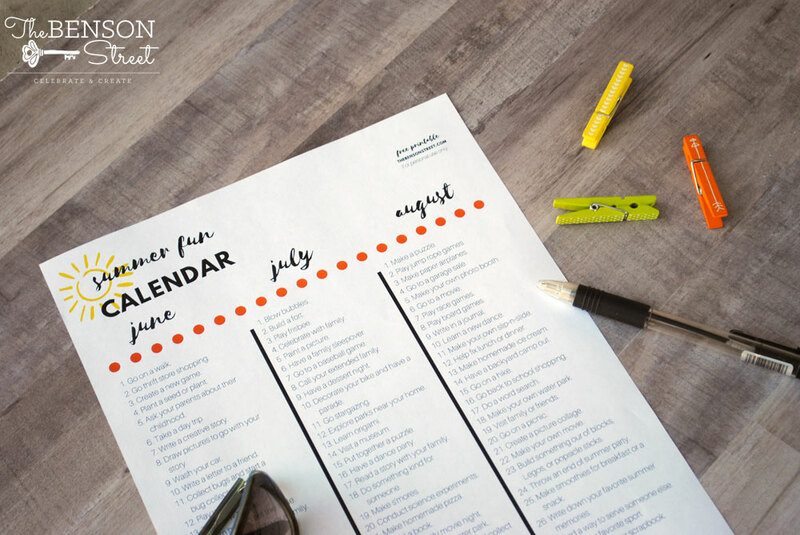 I’d love to hear how you use this calendar to keep summer boredom at bay. And if you have other great ideas to add to next year’s calendar leave them in the comments below! Happy Summer! 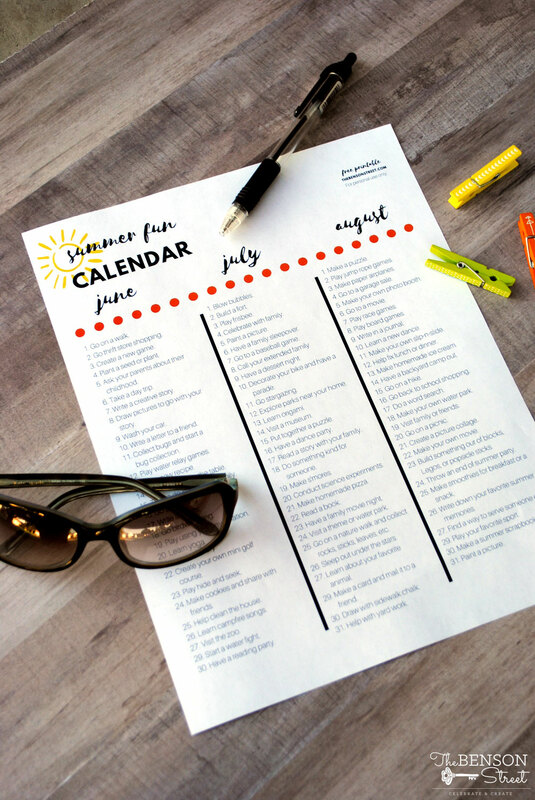 Download your 2018 Summer Fun Activity Calendar here!!! Just click on the link below and download or print. And the original summer fun activity calendar here. Thanks again for creating this for the public. Love having it so easily available. Look forward to it every year!